The recently found nest is the result of the new program for the intensive reintroduction of the peregrine falcon in Poland, initiated in 2010 and conducted by the Association “Falcon” at four localities – Forestry Districts: Barlinek, Wloclawek, Zmigrod/Milicz and Nowe Ramuki. In these regions, during the period 2010 – 2011, we released the total of 122 birds. We hope that new nests will be found more and more frequently. 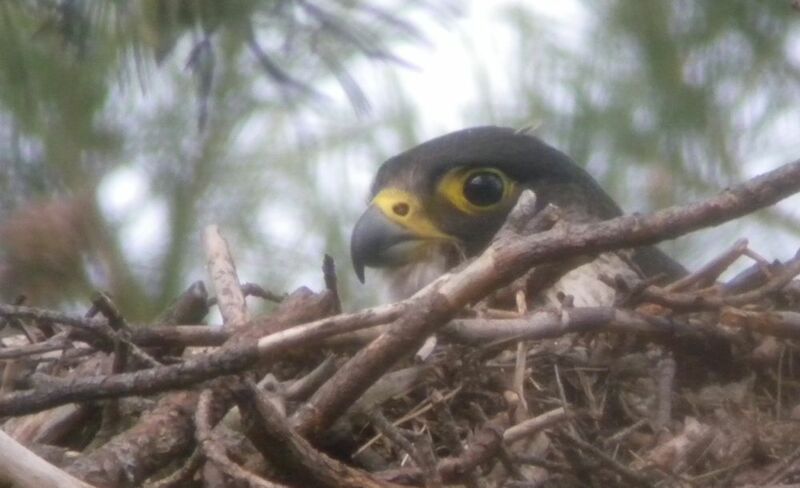 After a long hiatus, peregrine falcon breeding on a tree in Poland was observed in 2010. 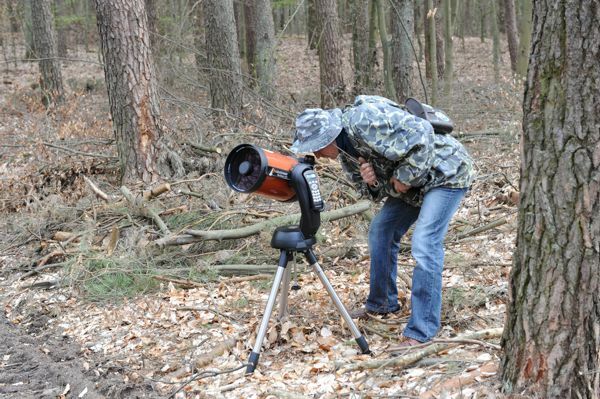 The falcon site was found by Mr. Pawel Wieland, falconer employed by the Forestry District Wolsztyn. The nest itself was not found at that time. The adult falcons accompanied by the juveniles were seen only after leaving the nest. That brood was acknowledged by the Fauna Commission on the basis of observation. Their presence in the following seasons, unfortunately, could not be confirmed. We are kindly appealing to foresters, but also to ornithologists, hunters and all enthusiasts of nature to pay special attention to the nests of large birds, in regard to the potential presence of the peregrine falcon – one of our rarest and most beautiful birds of prey. A significant probability exists that the Barlinek nest is not the only one in the Polish forests – we need your help to find them.